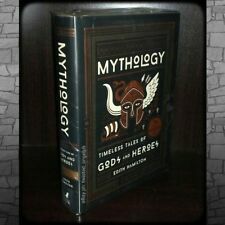 Mythology by Edith Hamilton 75th Anniversary Illustrated Edition - RARE! 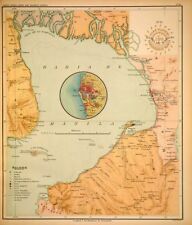 Complete reference, 1849-1919. All grades, ---Shotguns, Carbines, Rifles, Muskets. Full of Pictures. Complete reference, 1920-1982. All arms, All models. All Single-Shots, Lever-Actions, Slide-Actions, Bolt Actions, Automatics. It is in rough shape and sold as is. You are looking at a fantastic copy of Robert Marshall's "The Enchanted Golf Clubs". Don't miss out on this one! Your Pattern Cutting by E. Sheila MacEwan , 1951, #7 in the Your Home Craft Series, 263 black and white diagrams, 128 pages. Overall book condition is good, wear to edges and corners, dust jacket fair condition torn, heavy wear to edges. See photos for details. (Often within 1 hour). I will be glad to explain it. Massachusetts Highway Commission 1897. Charts, Maps. This auction is for Massachusetts Highway Commission, 1897. The book includes Tables of the roads being built in what towns and or proposed in Massachusetts, as well as a small ‘pull-out’ map of the proposed roadways in Mass. Pleas view photos. Condition: there’s someone’s name written in ink on the first page. Pages and hardcover in good condition. I tend to ship items within 24 hours of receiving payment. I’m also happy to combine shipping for multiple purchases. For sale is a hardback 1934 first edition ofCandy by L.M. Alexander with illustrations by Rockwell Kent. Cloth polka dot hardcover boards are square with minor shelf wear. DJ is now protected in a clear, removable Brodart sleeve. 1850 THE PILGRIM'S PROGRESS by John Bunyan w/ Scott's Notes - Illustrated. In two parts (both parts are in one book). With notes, and a life of the author by Rev. T. Scott. Great shape. The only foxing i noticed was on the first page. The book looks unread. Binding is perfect. Covers are good. There is one 2" line where the fabric is missing on the hinge on the front cover/spine. See pics. Otherwise this book is in amazing condition! 1850!!! Shipped with USPS Media Mail. Author: TOLKIEN, J. R. R. THE LORD OF THE RINGS. ; SciFi, Fantasy. Title: THE LORD OF THE RINGS. ; SciFi, Fantasy. First Edition. 1193 pages. Illustrated by Alan Lee. First edition thus. Fine in Fine dust jacket. Signed by Kennedy by the author on the title page. Beautiful Fine First Edition, First Printing, square, tight and clean throughout with little or no wear. Equally attractive unclipped dust-wrapper has a is a fresh, bright example with no creases, chipping or tears. 380 pages. Book is clean throughout, excellent condition. Author: MARK, Mary Ellen. Title: PORTRAITS. First Edition. xi 47 pages. First edition. Very Good in Very Good dustjacket. Spine slightly slanted; Dustjacket faintly scuffed with light edgewear, particularly at top of spine panel. Author: LE GUIN, Ursula K. First Edition, First Printing. 1st printing / edition. Fine- in Fine dust jacket in protective mylar. Slight spine slant. fine - / fine. Item #23768 ISBN: 0689305257. Publication: New York: Atheneum, 1976. Late 1800's New York Antique Picture Book of the City - Full of Illustrations. This is a very RARE book. I doubt you will find another one. Victorian age book with gilded cover. Many illistrations of the various places in NYC. Good shape. The first page has a break in the crease part about 3 inches. Shipped with USPS Media Mail. All 4 are hard bound and nice shape for the age. Early 1900's to 1912. You'll receive Corot by Sidney Allnutt, Franz Hals by Edgcumbe Staley, Tintorreto by S.L. Bensusan and Perugino by Selwyn Brinton. Alias Mr Death, hard cover with jacket by G Wayman Jones, The Fiction League, 317 pages, 1932. Cloth Oliver Ditson and Co., 1876 Fair in No Jacket Dust Jacket. Book Condition: Fair. Dust Jacket: No Jacket. Book Publishing Details. Book ID: 049545. Book Condition Report. Publisher: Oliver Ditson and Co., 1876. Author: LEGUIN, Ursula K. THE BEGINNING PLACE: A Novel. Title: THE BEGINNING PLACE: A Novel. First Edition, First Printing. 1st printing, 1st edition. Fine- in Fine dustjacket in protective mylar. The Complete Works of William Thackeray, Vol I, Sproul Publisher. A boxed set that includes lesson plans, teacher resources, binders etc. may be incomplete and again, we do our best to show you what you are getting by showing the pictures. Longman, Brown, Green, and Longmans, 1849. Fourth edition corrected. Hardcover, 115 pages, plus a 32 page publisher's catalog at the back. appears he was an expert at fly fishing, quite interesting. 4 OLD X BAR X BOYS BEAUTIFUL BOOKS IN JACKET! Up for sale are 4 really nice books from the X Bar X Boys series. Publisher is Grosset & Dunlap. All jackets are protected in mylar covers. Jackets are in very good to excellent condition. Books are in excellent to superb condition. THE ADVENTURES OF MR. MOCKER by Thornton W. Burgess, H. Cady Illustrated HC 1914. Shipped with USPS Media Mail. Old first edition. Book is worn. Still readable. A wonderful classic for your collection! 1949 First Edition of Nineteen Eighty-Four (1984) by George Orwell.This book is in very good shape for being 70 years old. Binding is strong. Giovanni and the Other: Children Who Have Made Stories- Frances Hodgson Burnett, 1893, Illustrated, in Very Good condition, no dust jacket. Gilt lettering on cover and spine. You are looking at an amazing copy of Agatha Christie's novel "The Mysterious Affair At Styles" published in 1927. This book introduces us to beloved detective Hercule Poirot and this script was Christie's first novel to be published. Poise and Power by Arthur Gould. Advanced thought publishing, 1919. Hardcover 100 pages. red cloth. gold titles. Author: BURDICK, Arthur J. THE MYSTIC MID-REGION. Title: THE MYSTIC MID-REGION. Publication: New York: G.P. Putnams Sons / The Knickerbocker Press, 1904. First Edition. ix 237 pages. Else very good. Author: STARK, Richard (Donald E. Westlake). First U.K. Edition, First Printing. 156 pages. First UK edition. Near Fine boards in Very Good dust jacket, light shelfwear to DJ, light soiling from sticker residue on front cover of jacket. The books have dust/foxing on the top of the text box. The books have no handwriting. Solid bindings. The Lord of the Rings 3 Book Set. By Arthur Lange. Arranging for the Modern Dance Orchestra. CONDITION: Poor condition. Missing front endpaper and title page. Table of contents is first page. Back endpaper is torn. Binding hinges are broken and binding is very weak. 1856 EUROPA; OR SCENES & SOCIETY IN ENGLAND FRANCE ITALY & SWITZERLAND. By Daniel C. Eddy. In wonderful shape. Many engravings. Shipped with USPS Media Mail.